Beyond the monumental architecture and low- and high-rise commercial buildings in New York City are residences with meticulously designed interiors. As we often see in our favorite TV series of typical professionals in the city like F.R.I.E.N.D.S. and Brooklyn 99, interiors in NYC residences and apartments look cozy with a touch of greenery. But these distinct interiors—from the often brownstone walls and oakwood floors—are not just the aesthetic pillars of residences in NYC. It’s also the furniture, the contemporary, industrial, and organic fittings, that give much character to each home. And with the opening of a New York-based furniture and home decor shop in the Central Mall of Bonifacio Global City, we can literally live in our sought-after NYC-inspired homes. 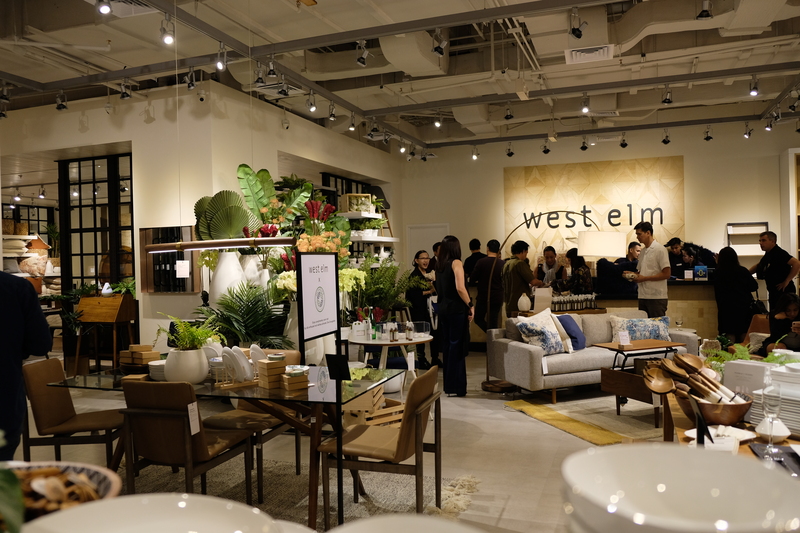 Last Sept. 21, West Elm opened its second store in the Metro four years after the debut of its first PH branch at Estancia in Capitol Commons, Pasig City. 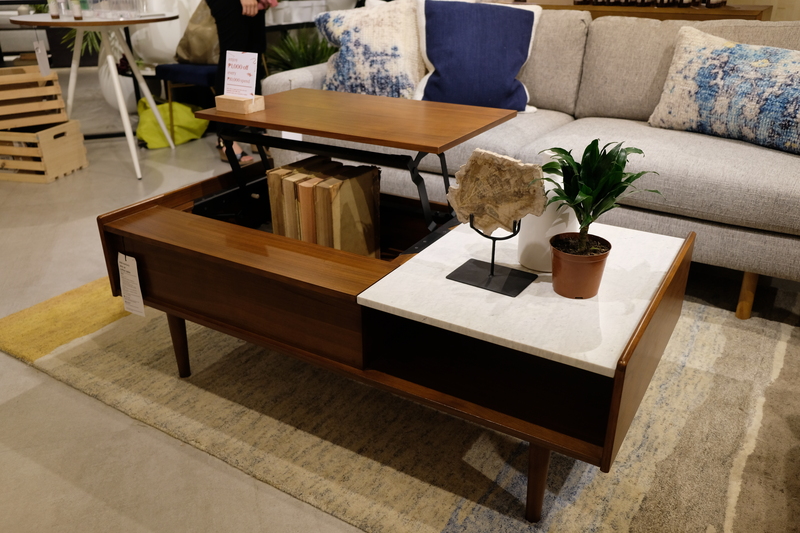 Now with more than a hundred retail stores across the globe, West Elm continues to feature things made with sustainable materials and fair trade in line with its standard of offering “a lot of modern designs at an affordable price,” as said by the brand’s global visual merchandiser Isaias Caballero. West Elm offers furniture made with sustainably sourced materials. Most of the designs are made by Brooklyn-based designers, along with some collaborations with European artists. With its sleek interiors, the newest branch is a literal breath of fresh air. To help keep you in your de-stressing mode on as you shop (the wide variety of furniture may be a bit overwhelming), we listed some of the elegant, innovative, and not to mention environment-friendly West Elm finds on sale. This Vietnam-made table is not only elegant. It’s also state-of-the-art for its top’s pop up mechanism that doubles as a workspace, storage, and tabletop, which are of course made with sustainably sourced materials such as kiln-dried solid eucalyptus wood, Acacia veneer and water-based Walnut finish. It is given a gold certification by Greenguard, an international environmental institute, as it meets “field-validated and performance-based standards” for its low chemical and particle emission of volatile organic compounds. Yes, this chair is as comfy as it looks. 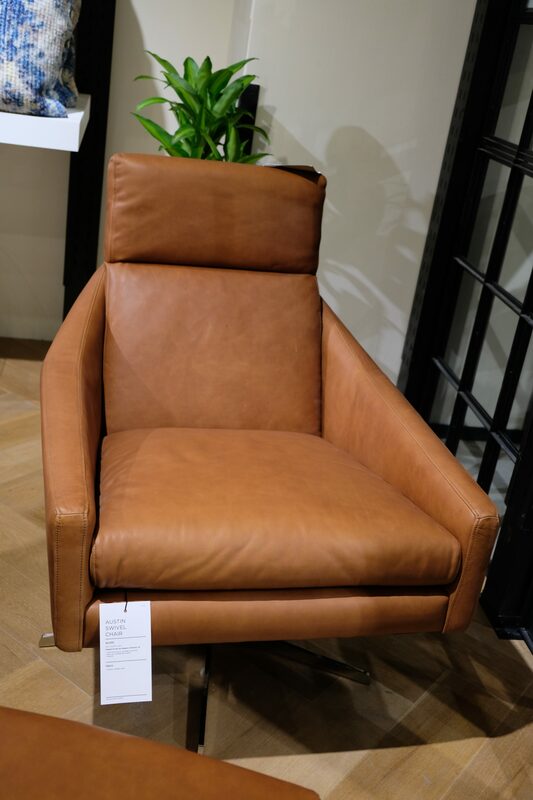 Perfect for home theaters, this swivel chair is made with chestnut fabric and has a loose and non-reversible seat cushion. It’s swivel base has a polished nickel finish, which is a brass plating with a warmer tone. Wall furniture make minimal spaces look uncluttered and pleasing. And shelves creatively designed like the one above are such a sight to see. 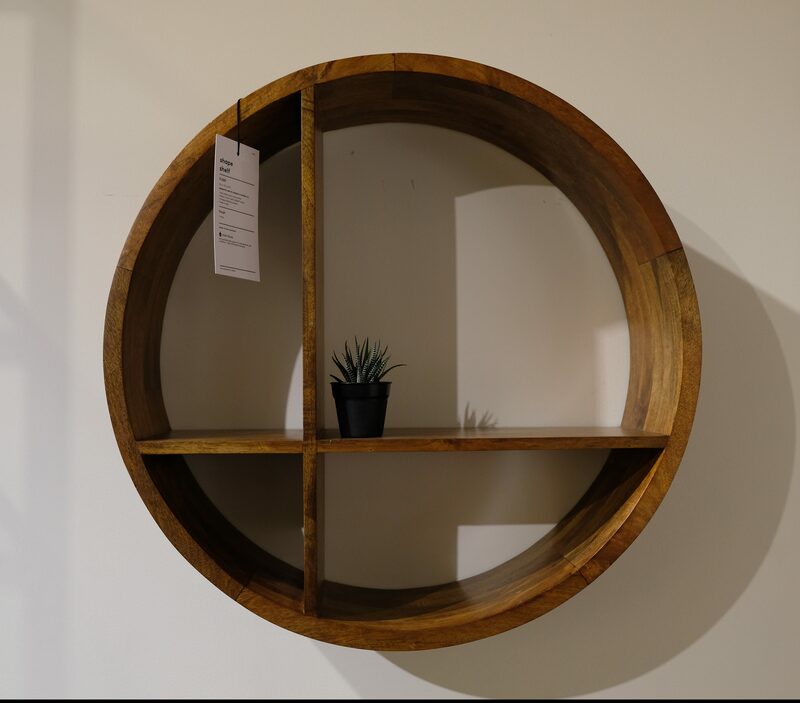 Aside from the amount of space it saves, this shelf is also made in a Fair Trade Certified facility, which means the material is made under safe conditions for its workers. 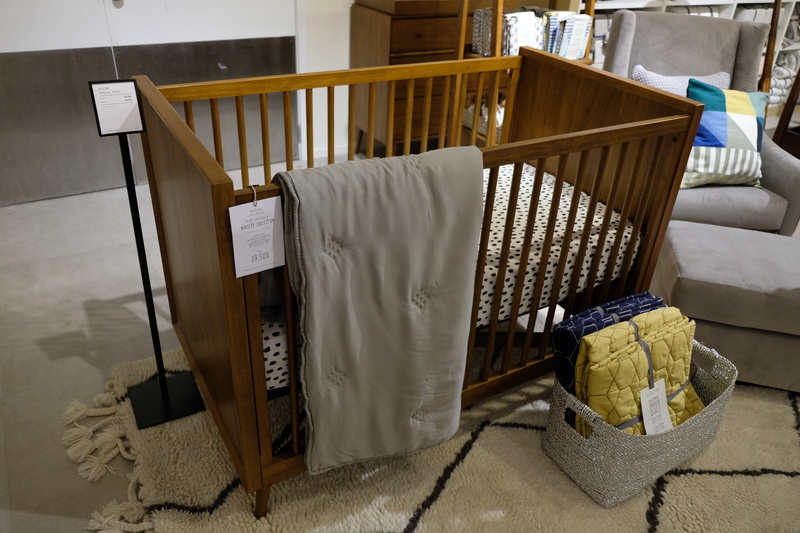 In partnership with Pottery Barn Kids, West Elm puts this sustainably crafted crib on sale. The wood used are kiln-dried to be extra firm, so your babies are definitely secured inside. This is also certified by a fair trade facility and Greenguard for the cleaner air its materials elicit. Organic cotton fitted sheets for the crib cushions are also available at the store. Timidly tucked at the far-end of the shop is this elegantly designed dresser. It is made with ash wood veneer over engineered wood. 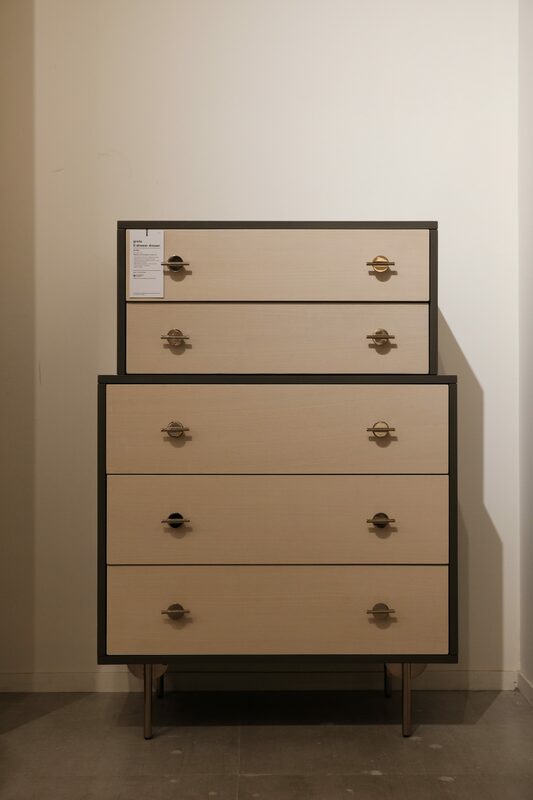 A water-based dune finish is applied on the drawers and truffle while a rose gold finish is used for the metal legs. 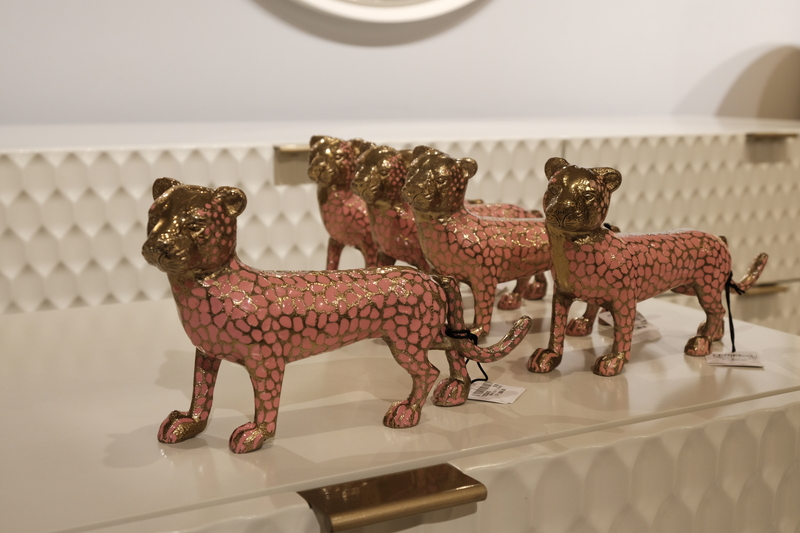 This leopard display adds a touch of grace in your suave interiors. Its brass material resists corrosion and rust, which means you don’t have to worry about the rose gold color fading. 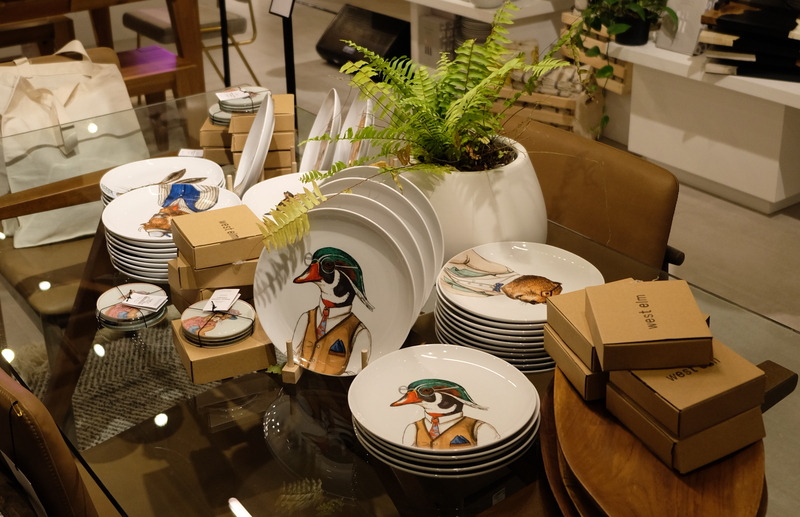 West Elm collaborated with painter Rachel Kozlowski to feature some of her handcrafted animal paintings on salad plates and coasters. Her creative twists to the animals, like the spectacle-wearing penguin in the photo above, gives a classic yet trendy touch to any kind of table, may it be wooden or glass. 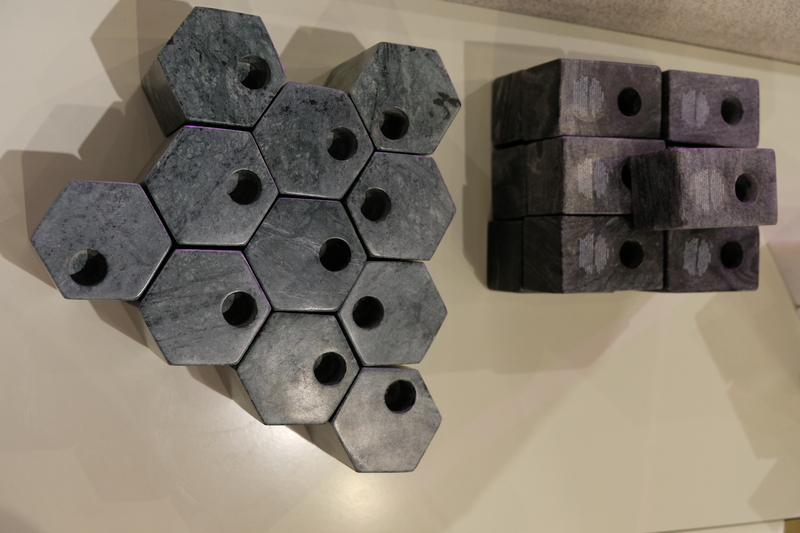 These are candle holders made from handcrafted and hand-cut geostone marbles. Dipped in London-based designer Aaron Probyn’s style of minimalism, these separately sold holders come in three shapes: hexagon, rectangle, and triangle.